We have a great deal in the Geeky Gadgets Deals store today, you can save 20% off the PowerTime Apple Watch Charging Dock. The PowerTime Apple Watch Charging Dock normally costs $49 and we have it available for $39 in our deals store. Apple Watches have been unleashed with yet another charging innovation from Apple. With their magnetic charging cable, it’s easy to charge your watch right on your bed side table, but it’s still just another cord crawling aroung your room. The solution? This charging dock allows you to charge your watch without a wire, while providing the option to charge three more USB-compatible devices, all in the same compact location. 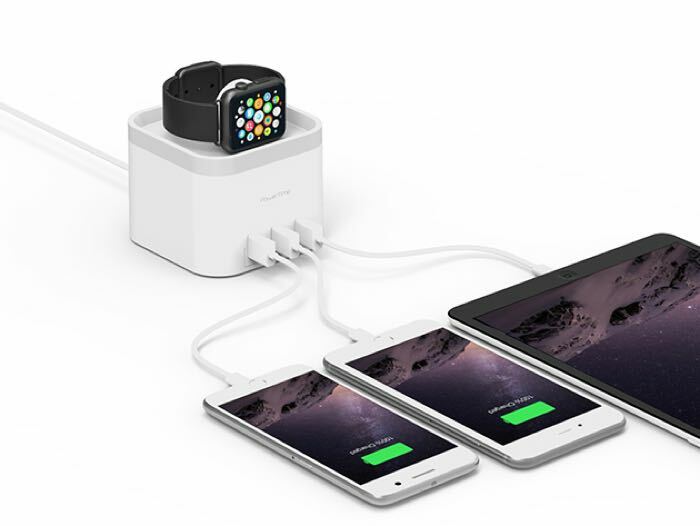 Designed for Apple Watch, this can be the central charging hub for all of your devices. You can find out more details about the PowerTime Apple Watch Charging Dock over at our deals store at the link below.